A New York City cookie company is gaining Internet fame for its 'selfie cookies'. Pay the baker and she'll make a cookie of your face. We surprised NBC 4 anchor David Ushery with one of his own. 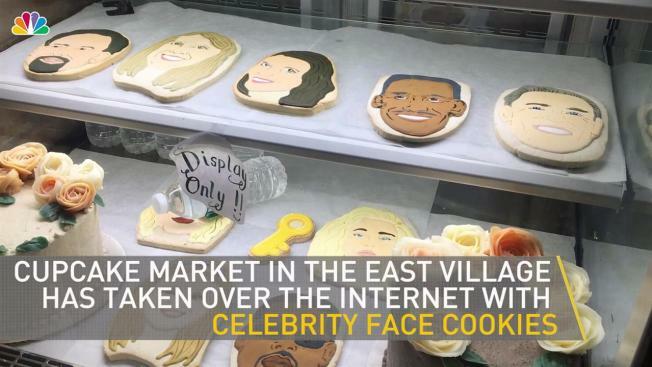 A New York City bakery is turning celebrity's faces -- and your selfies -- into cookies. Pastry chef Sarah Silverman is one of the brains behind Cupcake Market in the East Village, where you can choose to chow into a selection of celebrity face cookies or get your own face baked, simply by supplying a selfie. The bakery has become an Internet sensation thanks to its embrace of some of the world wide web's favorite characters: Kim and Kanye, President Obama, Justin Bieber and Hey Arnold. Custom cookies can be made from any photo, however Silverman needs four to seven days notice before executing the customized snack. 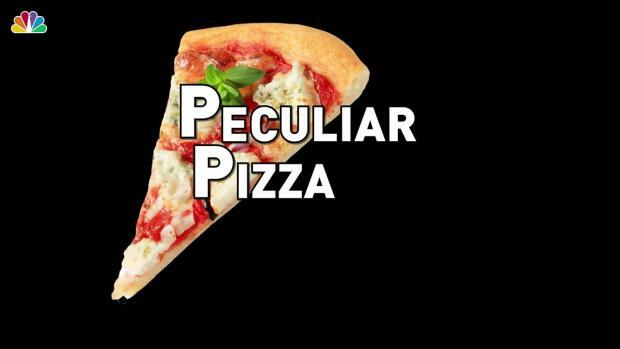 From pizza-pizza to sushi pizza, these five New York City eateries are keeping it interesting with odd and unusual pies. The cookie artists use a light box to project the photo image onto the cookie, and then painstakingly trace over the dough with a skin-color matched icing and other details. The self-centered sweets also cost a pretty penny. For a custom cookie, customers should expect to pay $16 per cookie, with a minimum order of 10 cookies. The bakery ships across the Unites States. For more information on how to get your face on a cookie head to the website.